Skincare is something that is ever evolving for me. As soon as I figure out the perfect regime, my skin decides to freak out and need a change. Ever since high school, I have made it a mission to wash my face every night. Sure, some nights it might have been a makeup wipe and done…but that makeup came off! I still have that rule today. No matter how tired or sick or busy I am, I always have a few minutes to at least wash my face. Over the past few years, I had a running list of pretty good staples that I used routinely and everything was just fine. For whatever reason, my skin started breaking out terribly a few months ago and still hasn’t cleared up. It’s a little painful, and just down right embarrassing. I am 35 years old, why is my skin breaking out like a teenager! Its not just one single area either, it is a bit all over. I decided to completely re-haul my skincare last month, as I have had enough!!! I also wanted to get better about preventive products, since I do have some fine lines around my eyes and a WTF crease between my brows. Pretty much unavoidable, you know? I wanted products that actually work, and don’t cost a ridiculous amount of money. I just hate dropping mega bucks on a product that claims to make you look 10 years younger and get rid of those dark circles and blah blah blah….only to realize it doesn’t do a darn thing. I took out my eye cream, and haven’t noticed a single difference. Clearly it wasn’t all that great. I may add one back in, but for right now…I just want to focus on getting my skin cleared up and taking care to prevent any more aging. I have been using these products for a month without any new issues. Is my skin clear? No. But I strongly believe that it takes several months for you to really know what is working. I will be checking back in and give you before and after pictures then….if it works! Watch using all the acids all at once at night – those may cause issues down the road. when I use acids I will alternate which nights I use them so I am not throwing my skin into a tizzy because of the damage done to my acid mantle. At 35 is about when I started having issues with cystic or adult acne. i am loving your new routine! i love the klairs toner and the cosrx cleanser is pretty fabulous. eye creams are useless for me in terms of doing the stuff they claim, but i have never found a normal moisturiser that doesn’t burn my eyes or make them sting so much i cry… so i use eye creams for that purpose, though even some of those make me want to gouge my eyes out. fun times. Definitely checking some of these out! I’ve started using several new products this year so I’ll definitely keep you posted. My under eye circles thanks to genetics are the worst. After trying out 87,000 products out there I’m pretty much certain there’s no product on the market that will ever eliminate it, which is why I’ve grown to love concealer so much lol. I try to be really adamant about taking off my makeup as well because I know how terrible it is for my skin! I hope this new routine works for you! Finding what works best always seems to take forever to figure out! You’d look at me like that. 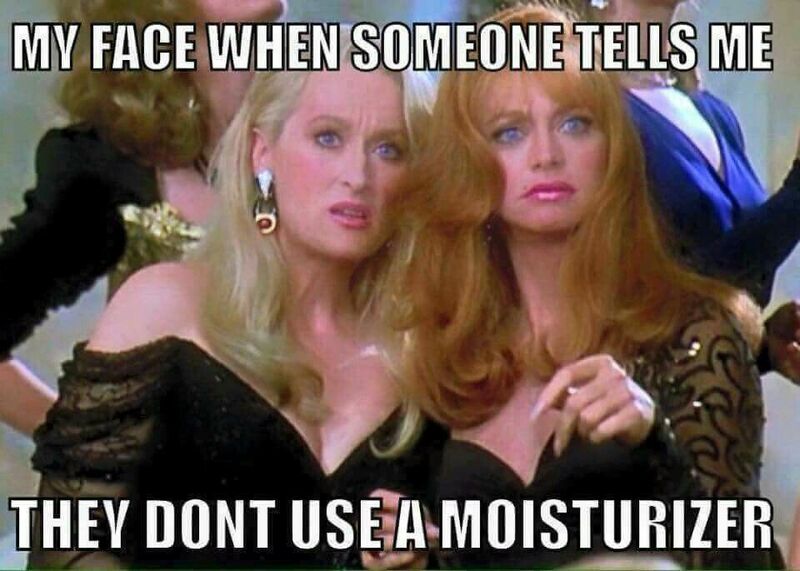 I’ve never used moisturizer except maybe if I got a sample. I have never used any of these. I love the Ordinary products! I’m always curious to see what people are using. I use Murad- the acne and aging blue label one. I also use a primrose oil I found on the shelves at Marshalls. I LOVE it. Beyond that I use Thayers, micellar water, and a SheaMoisture moisturizer. Slowly trying to pick up some of these products: I got the acid in the mail today and can’t wait to use it! I feel like someone saying you look well rested would be the biggest compliment! And one I will probably not hear for a very long time, lol. I really need to check out The Ordinary, and I’ve really liked Cerave products I’ve used in the past. i LOVE when you find products that work for you. i use serums and oils to do all the hydrating and then a light moisturizer to seal it all in. i 100% attribute my simplified routine to borage oil – something that i always recommend to those suffering from dry/dehydrated skin. i’m also a huge fan of vitamin c and retinols. recently, i’ve had to get products for K; it appears she’s starting puberty (WAH!) so i’m now teaching her the importance of skin care. That’s AWESOME that you looked so well rested she complimented you! I need to check out The Ordinary products! What a great compliment. I need to use eye moisturizer a bit more and mask more. I do it, but not often enough. You know a couple of years ago, probably around 35, I too broke out like a teenager & had to change my skincare regime. I have found that charcoal products really help! So, every evening after work/play I use Purpose facial cleanser as it’s gentle & every morning in the shower, I use Biore Charcoal & it leaves my face tingly clean. I also use moisturizer every morning & eye creams day & night. My face as really cleared up…but now as I say that, I’ll probably jinx it & break out. Ha, ha! So many amazing products!! I don’t have much of a routine in the morning, but I am more regimented at night! I love Cerave!! Nice compliment!! It sounds like your skincare routine is already working well. I hope it continues to do well and that it helps with breaking out.